Rumi Forum, in collaboration with Georgetown University’s Berkley Center for Religion, Peace and World Affairs, brought together prominent scholars of the nation's capital to discuss the growing importance of civil society in peace building, conflict resolution and democratization. “The Role of Civil Society in Peace building, Conflict Resolution and Democratization” conference was held on May 26th, 2011 at the Berkley Center’s 3rd floor Conference Room. Come see how the Ottomans were able to cohesively and harmniously live and provide sanctity to their minorities. In a first for Washington DC, Rumi Forum has organized reprints of Ottoman Decrees regarding their Armenian, Jewish and Greek minorities dating back 550 years, also including documents outlining the transatlantic relations between North America and the Ottoman state. The Rumi Forum's Honorary President, Fethullah Gulen was honored with the Annual 2011 Peace Building Award from the East West Institute for his activism in the fields of education and dialogue. 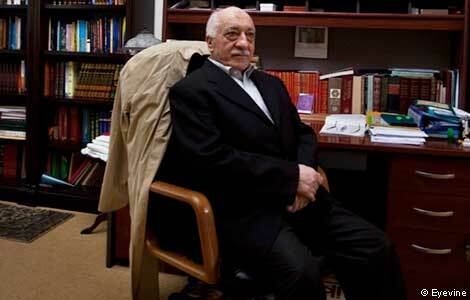 The Political Trials and Times and Fethullah Gulen. Congress members presented the 36 awards to winners in Washington, D.C., with Congressional Certificates to recognize their success in the international high school essay contest that was organized by the Gülen Institute and the Rumi Forum. The contest involved 600 high school students, enrolled in nineth through 12th grades, attending public or private schools from the United States and abroad, writing on the use of military means as a solution to today’s international and national political issues. ..."Basically we recognized a demand, and we thought with our background and the fact this organization was founded by Turkish Americans, we could play a part in bringing that to the Washington, D.C., area," Celik explained. "Turkey is on the rise in terms of global attention so a lot of people are wanting to improve their understanding of Turkey. And the best way to do that is through Turkish language and culture."